Orillia Community Gardens | Come Grow With Us! 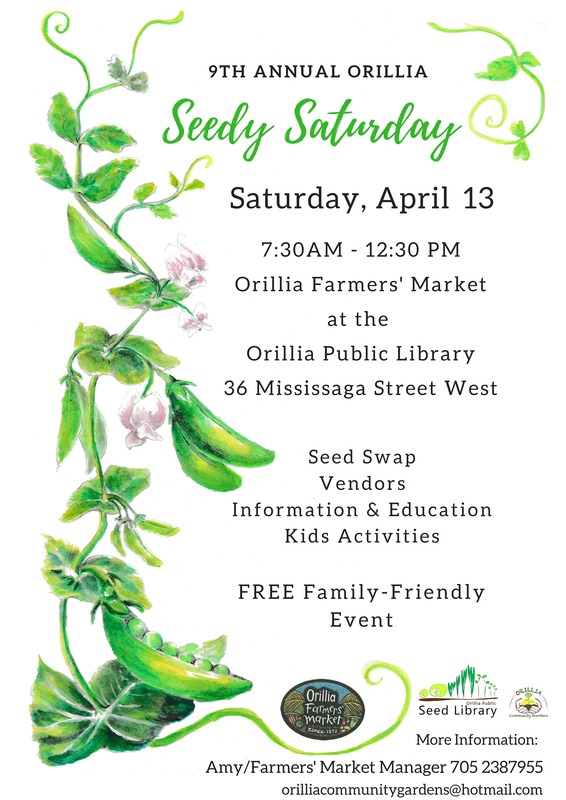 Peas join us for the 9th Annual Orillia Seedy Saturday happening on Saturday April 13th from 8-123opm at the Orillia Farmer’s Market! Also note the Orillia Fairgrounds Farmer’s Market is hosting another Seedy Saturday on Saturday March 30th! Bring your seeds to share in support of our growing Orillia Seed Library! Volunteers welcome – peas contact orilliacommunitygardens@hotmail.com ! Orillia Community Gardens (OCG) celebrates another incredibly successful year thanks to the contributions of countless people and organizations. We have harvested something in nearly every month bringing us closer than ever to our long-term goal of year-round food production. Thank you to the Simcoe County Food Partners Alliance for awarding OCG with a Food and Agriculture Charter Champion Award for “Best Community Garden”. OCG shared 1100 pounds of fresh produce with The Sharing Place Food Bank this season, estimating equal amounts were harvested on a self-assessed, as needed basis, by people enjoying the gardens. We erected a geodesic dome greenhouse at the community garden atop the hill at Regent Park United Church. Thanks to Steve Appleby for donating this masterful piece of woodwork, presently sheltering 9 varieties of cold tolerant plants growing even now with the favourable weather. We built a shed there also to support a cluster of 3 community gardens in the south ward. Another great success this year has been the involvement of Regent Park Public School students led by teacher Lisa Kent-Ligers. The enthusiastic support of staff and students there has been amazing. Ross McIntyre and Sustainable Schools volunteers provided crucial support in making these sessions a success, as well as other school garden initiatives in Orillia. On the education front, we would also like to acknowledge the Orillia Native Women’s Group, Lakehead University Orillia – Community Garden Project, and the Orillia Food Council for their growing support. A special thanks to our on-going partners at Davey Gravel who have helped us for the past 5 seasons by delivering compost, enabling a dramatic increase in production. We’d like to thank Scott’s Garden Centre for hosting the Grow a Row program in the spring and caring for those plants in their greenhouse as well as donating several trays of different plants. Ego’s Nurseries also donated several much appreciated trays of plants and herbs. A big thanks to the Orillia and District Construction Association for donating a $500 gift card for materials to build the shed. And thanks to Home Depot for donating a $1000 card with which we bought a lawnmower as well as materials for the shed. Home Hardware donated delivery of the shed materials as well as 2 blueberry bushes and a pot of dwarf raspberry canes. Thanks to Kevin Gangloff and the Orillia Youth Centre for work in the gardens and behind the scenes. A big thank-you to Foodbanks Canada and Compass Group for grant money which bought many berry bushes, plants, seeds, tools, lumber for a scooter/wheelchair accessible raised bed at St. David’s Anglican-Lutheran Church community garden, as well as materials for a greenhouse we will build next season at a site yet to be determined. And thanks to Christine Hager and The Sharing Place Food Bank for administering this grant. Thanks also to MP Bruce Stanton for donating 2 picnic tables through the Tables By Teens program. We now have a picnic table at the High St Park garden and in the woodlot on the hill at Regent Park United church. 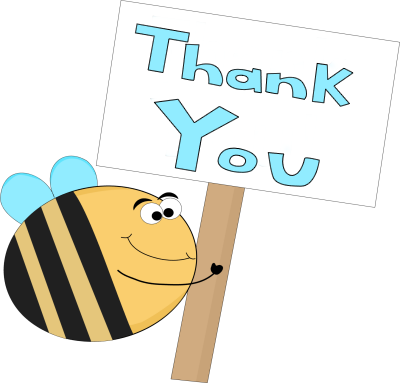 Thanks also to Metro Orillia for their donation of extra seeds and the Orillia Public Library for their continued support running the Orillia Seed Library program and making meeting rooms available. Thanks to the City of Orillia and city staff for donating compost and work on various projects, like the development of a community garden policy for the City of Orillia. OCG would like to encourage and remind the public to safely utilize your green bins, and avoid composting toxic or inorganic materials, such as batteries and plastic, which could end up in our food gardens! Finally, thanks to all others who have contributed in various ways by donating time and labour, plants, seeds, tools, materials and money to make all the produce and services the gardens provide possible. We have a lot of work behind us and a lot more ahead of us. OCG would like to invite the public to visit our website www.orilliacommunitygardens.org or follow us on facebook or twitter, to monitor our progress and learn of ways to participate in growing this worthwhile community endeavour. We have just forwarded this Community Garden Policy recommendations to the City of Orillia, Recreation Advisory Committee, following a meeting we had with community garden stakeholders about a month ago. We are reposting it here to inform, educate and engage the public in this policy development process. If you have any questions or comments peas post below or email orilliacommunitygardens@hotmail.com. 1. GROW TO PERSON – City of Orillia creates (hires new or assigns internally) a Community Gardens and Allotment Program Coordinator to serve as primary point of contact to work with Community, OCG to create and manage the Community Gardens and Allotment Program. 2. HOW TO START A NEW COMMUNITY GARDEN – City of Orillia creates step by step process (see appendage) for establishing community gardens and allotments in Orillia. City of Orillia facilitates process in a timely manner (within 4 months). 3. ALLOTMENT PROGRAM – City of Orillia creates and operates a distinct allotment program where community members can rent a secure plot to grow. This may include a fee and rental agreement, staffed garden management, fencing and site security. 4. RISKS AND COSTS – City of Orillia assumes liability and upfront infrastructure costs for community gardens and allotments on City of Orillia property. City of Orillia (or Parks Department) creates a dedicated Community Gardens infrastructure budget item (est.. $20, 000 annually), to forecast and cover future upfront Community Gardens and Allotment infrastructure. Unspent money to carry over for future years. A public Community Gardens granting process be explored to enable the community to best utilize the funds to enhance public space and food security. Infrastructure includes the following elements: storage, shelter, seating, clean and fertile soil (soil tests), fencing (if necessary), signage, landscaping, pathways, accessible raised beds, and water (tanks, catchments, conservation). 5. COMMUNITY GARDEN ANIMATORS – City of Orillia establish Community Garden Animator position(s), providing training and payment for seasonal service. Community Garden Animator job is to promote success and public access by facilitating community gardening, and public participation in planning, planting, tending and sharing in the harvests. Est. 1-2 Community Garden Animators per site, with committed weekly garden open hours. (Est. Minimum 5-10 hours per week, April – Oct) . Focus on employing youth, seniors, and the unemployed. Animators report to Community Garden and Allotment Program Coordinator. 6. MAPPING – City of Orillia engages public in mapping Community Gardens across Orillia, while listing, prioritizing, and designing new garden sites. City of Orillia creates online and hardcopy map (renewed annually) , to be available in print at city cultural sites, and online city website. City of Orillia creates or supports a public/private land registry / land share (YIMBY – Yes in My Backyard) to connect those offering land to grow and those looking for land to grow. City of Orillia considers classification system, developing criteria for determining suitable and priority sites, including proximity to need or request, to transit, access to water, contamination, competing land uses, risk etc. 7. YEAR ROUND / GREENHOUSES – City of Orillia enables year-round food production and growing opportunities via Community Greenhouse Strategy. This strategy includes year- round public access, educational and recreational programming, supporting a nursery and season extension. City of Orillia looks into preserving and upgrading heritage greenhouses (Leacock Museum, Coochiching Park, HRC, other?) and considers geodesic dome and other creative ecological designs. 8. ZERO WASTE + COMPOSTING – City of Orillia reinstates the “Master Composter” program, working with Waste Diversion and public to reduce organic waste and promote small scale ecological composting, to build the soil and grow healthy food. City of Orillia supports training and provides composting infrastructure (black bins, free compost giveaways and delivery to city sites, City Worm Farm, educational demonstration sites in select Community Gardens in Orillia.) City of Orillia strives to create an innovative community compost program, with a dedicated focus on reducing organics while generating mulch desired quantities of fertile soil. ** City of Orillia considers deconstruction and preservation of materials from city properties for reuse in Community Garden infrastructure, including sign posts, small structures, garden trellises, boxes, fences, etc.. with an eye to reducing both waste and costs. 9. CELEBRATIONS – City of Orillia creates and celebrates annual Community Gardening Day – May 1 – Official Start of Growing Season , date for City of Orillia to turn on Water, deliver soil, final date for opening new gardens, end of sign ups for allotments, etc… Food sharing, gardening action, cultural festivities..
10. SIGNAGE / GUIDE TO GROWING IN ORILLIA – City of Orillia works with Community / OCG to create welcoming, informative signage at City of Orillia Community Garden sites, details on website, recreation posters, brochures and calendars. City of Orillia with Community/OCG creates a hardcopy and digital Guide to Growing in Orillia – which describes all the ways to participate in gardening across the city, including links to resources, seasonal calendar and growing guide, plus invitations to educational and cultural events. 11. SEEDS + PLANT PROPAGATION – City of Orillia supports Orillia Seed Library program with the Orillia Public Library and Lakehead University, broadening focus to seed growing and saving instruction. City of Orillia enables seed saving on public lands focusing on establishing a local seed stock for conservation and naturalization projects. 12. INCLUSION AND DIVERSITY – Community Gardening is not new to Orillia. City of Orillia makes effort to acknowledge and include contributions from First Nations, early settler/farming families, and newcomers, specifically through the planting of native and heritage varieties and traditional, ecological techniques, and experimenting with new ‘world crops’. Full Moon in June – Annual 3 Sisters Community Gardens Planting Tour, in recognition and honour of First Nations history and culture and growing towards truth and reconciliation. 13. INCENTIVES FOR PRIVATE LANDOWNERS: City of Orillia offers incentives for private landowners to have Community Gardens on their lands, such as tax break, water rebate (with a water conservation plan). – Sign for park and road front, sign on front of BO arena? – Consideration of food/community growing spaces in all parks and other city lands. 1. “First Contact” – A community group / member will initiate contact with the Community Gardens and Allotment Program Coordinator by sending a formal written request for a specific site, and or identifying potential sites with help from the Community Gardens and Allotment Program Coordinator . (Consider defining ‘group’ as 3 or more people). 2. “Site Review” – [Community Gardens and Allotment Program Coordinator , the Parks Supervisor and/or other staff from the Parks, Forestry and Recreation Division] will review the site, ensuring stakeouts for electrical, gas or telephone lines have been carried out, and investigated for title history to determine ownership and other conditions for use. 3. “Community Consultations ” – A ‘garden development’ proposal sign and open invite is erected on site at least 1 month prior to public meeting. Community consultations occur through a public meeting process with the guidance of the Community Gardens and Allotment Program Coordinator , [the Parks Management, and the Ward Councillor]. Minutes and attendance of the meeting will be taken and submitted by the Community Gardens and Allotment Program Coordinator. 4. “Consultative Garden Design” – The groups proposed design will be assessed through a consultative process with the community. The community group will send a list of materials required and a project timeline to the Community Gardens and Allotment Program Coordinator . 5. “Prepare Report” – Reports are prepared by the [Community Gardens and Allotment Program Coordinator ] for review by [ Parks management] . The implementation process must be completed within a 4 month period. *See Report and Implementation process ) – cost and related work, timelines, other issues to notice? 6. “Funding and Resource Assessment” – Financial requirements and sources of funding/materials will be confirmed and approved by the Parks Department . The completed Community Garden Permit and Regulation Form requires the signature of the Director of Parks. 7. “Groundbreaking” – The community group and the Community Gardens and Allotment Program Coordinator will agree on a date to begin work. [Works and Emergency Services] will be notified, if necessary, of the date (May 1 every year?) and resolve any issues with water access. 8. “Ongrowing Support” Community Gardens and Allotment Program Coordinator will provide orientation training on community gardening in the City, as well as on-going advice and technical support. 9. “Bi/Annual Review” Permission to operate the community garden will be granted by the [Parks Branch] and reviewed on an annual (or biannual) basis.